Loafing Odysseys: Mad Men Casting Call. 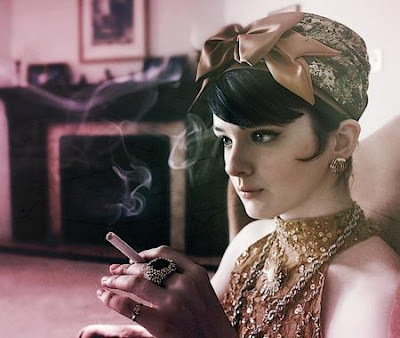 One of my favorite bloggers, Hannah, is doing the Mad Men Casting Call. I really think she deserves to win, so please VOTE and spread the word! ...also, if you don't already watch Mad Men, you can start this Sunday at 10 PM. It's on AMC, and it's basically the best show ever. Actually, it is the best show ever. I love Mad Men. I did a Mad Men photo shoot Friday! It was super fun! I think i watch everything but mad men. Is it a good series ? Mad Men really is one of the best shows ever! I just discovered it recently, because I had to make a presentation about that show - and now it will be the subject of the next thesis I'll write! !